Raising the temperature of the mobile industry, Apple Inc. has introduced 1500 new APIs to slot into iPhone devices. 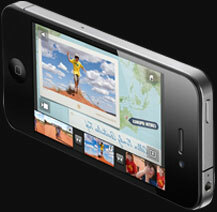 The collection of innovative APIs is providing various technologies for enhancing the functionality of the iPhone apps. It is really a grand gift to iPhone developers as well as common iPhone users to learn more about technologies and increase the user experience with most advanced technologies. Using the latest is amazing and help the iPhone users to put more control & management over their daily routine. In the fast moving modern hi-tech environment of technologies, masses are going to experience the real advantages of new technologies. The best instance is the introduction of iPhone iOS 4 APIs to use in the apps. Calendar Access – Management of events is now more easy with the help of event kit, the iPhone user can create & events in the Calendar app directly. Device user can create recurring events, setting up the start & ending times and assigning them to any calendar on the device is very easy. In-App SMS – Easy composing of SMS messages from within apps. Photo Library Access – The new Media Library APIs helps applications to have direct access on user photos & videos. Video playback & Capture – Utilizing the new APIs in the AV Foundation Framework allows total programmatic control over video playback and capturing. Map Kit Improvements – With the help of new APIs mapping applications can be enhanced such as including overlays for identifying the rejoins on the map, drawing of routes with comments for customized directions & various other functionalities. Quick Look - The new Quick Look APIs allows the applications to provide previews of documents. Accelerate – This new API allows performing a wide range of mathematical functions on the iPhone such as industry standard functions like factoring matrices and solving systems of linear equations, basic vector and matrix operations, signal-processing routines and fast Fourier transforms.